Every year there are accidental deaths of children forgotten in closed vehicles without ventilation, especially with the arrival of the summer season, when the ambient temperature is higher. This tragic news surprises us, but they are becoming more frequent. 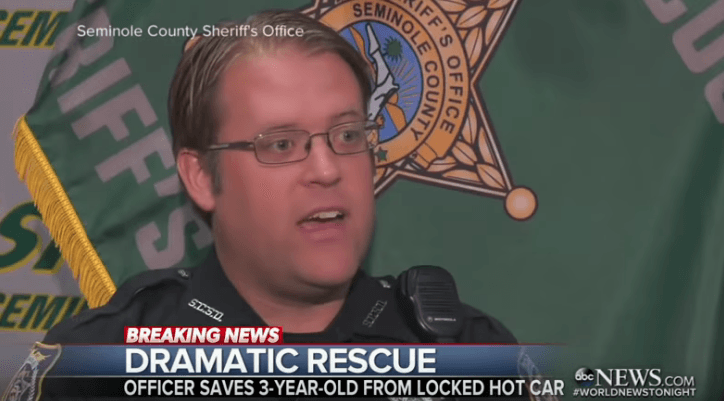 On Father’s Day June 17, Seminole County Deputy Bill Dunn became a hero when he saved a little girl’s life. She was left behind in the heat overnight in a car. 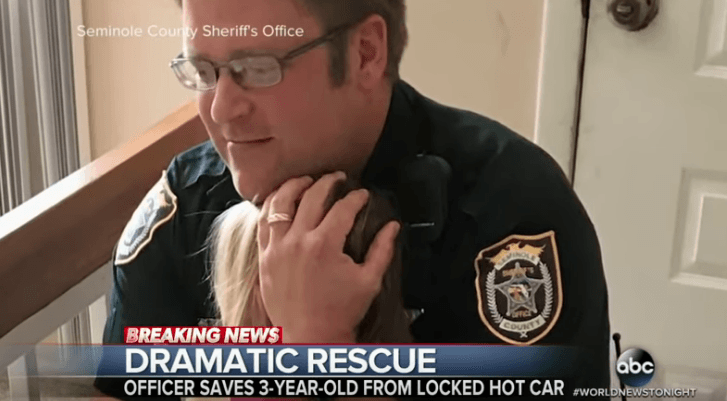 In a recently released clip, the deputy had to think fast when he got her out of the vehicle. He rushed her to his police car and drove straight to the hospital and hoped for the best. Two months ago, someone called the police to the Vista Haven Apartments. They reported that a little girl was inside a possibly stolen vehicle with its windows rolled up. When Florida, Seminole County Deputy Bill Dunn arrived, he saw the little girl’s eyelashes fluttering. 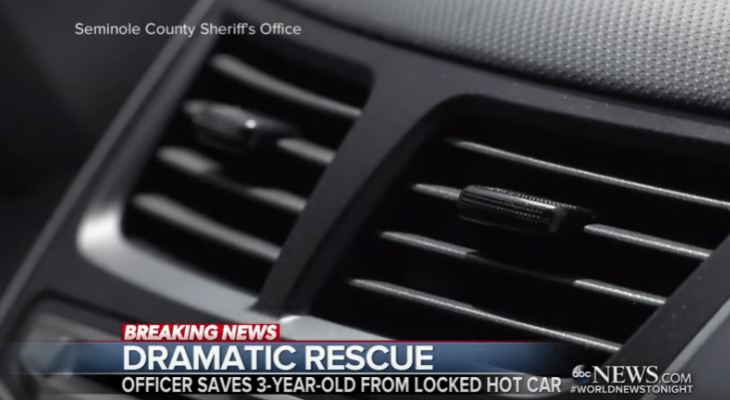 He saved the 3-year-old toddler at around 11:20 a.m. She had been left in the hot vehicle for more than 12 hours. The temperature inside the car was significantly hotter than the temperature outside. “It was probably 80 degrees (26 Celsius) outside, to where you have 109, 110 degrees (43 Celsius) steam just rushing out at you… when I opened that car door,” recalled Dunn during an interview. Footage showed the deputy running to his car while holding the toddler’s weakened body in one hand and keeping her head up another. Dunn was really worried when he couldn’t feel her pulse. When he got to his car, he turned on the air conditioning. “Once the cold air hit her, that’s when I started noticing her eyes kind of fluttering,” the deputy said. Her heartbeat was an important sign to him that there was hope for her recovery. He remembered one thing distinctively, “was my hand on her chest and feeling her heart racing.” When he arrived at the trauma room, the medical team was ready and waiting to receive her. In the clip, Dunn can be seen returning to his vehicle from the body camera footage. He slumps over the bonnet from fatigue. Casey Dyan Keller, 33, was the little girl’s mother who had taken three of her children to the liquor store and only returned to her apartment at 11:15 p.m. with two. The next morning, she called 911 and claimed that someone had stolen her car with her child inside it. She was arrested and charged with child neglect and bodily harm. 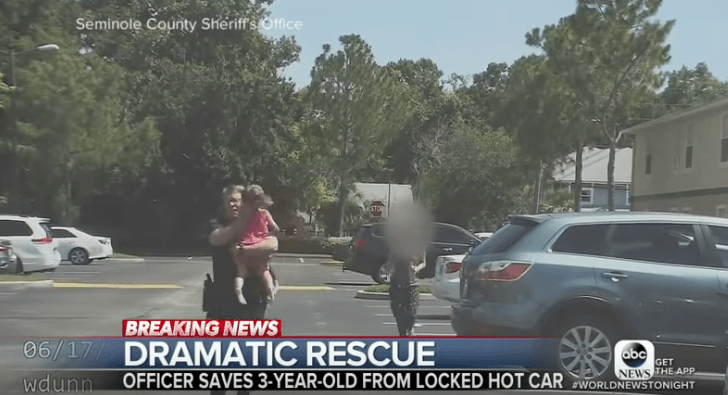 On June 21, the Seminole County Sheriff’s Office posted a Facebook photo of Dunn reuniting with the toddler who made a full recovery. It is a bit a lot worrying that this kind of events has intensified in the last years. In some cases of kids trapped in cars they even have died because of the overheat. This makes us ask ourselves: what is happening with the parents from this generation? 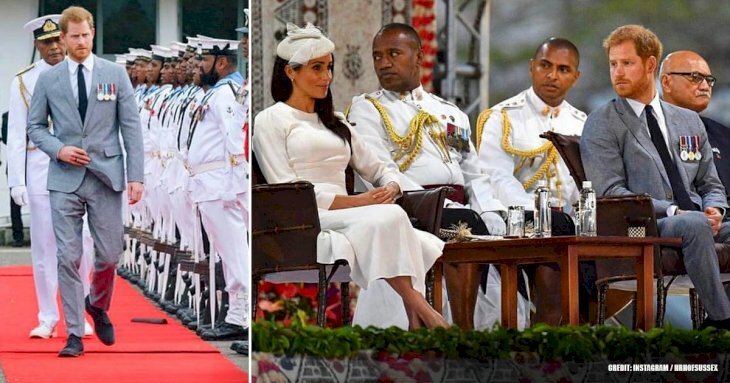 Internet users and citizens from all around the country were outraged for this unfortunate event. They claimed that the mother was too irresponsible and they were happy by knowing she is going to pay for her neglecting. On the other hand, people celebrated the police officer’s action and said that videos like these must get known by everyone to improve the negative perception that many people have about cops. "Another Great Heroe in blue!!!! Our officers, Fire personnel and EMT's who run selflessly and without prejudice right into danger, many times, so devoted are they to saving lives! Show some love to a Heroe today!" Incredibly, to leave a kid inside a hot car can be a threat to their well being and in some cases, this even can cause the death. Actually, some researches state that a child in a closed car and under the sun can die within 30 to 60 minutes. Under normal conditions, the body temperature stays between 96º-98ºC, regardless of the outside temperature. The mechanisms in charge of regulating body temperature in children under five are not as effective as in adults, for three main reasons: they have proportionally more body surface (they accumulate more heat), their body contains more water, and they have less autonomy to drink (they dehydrate easily). All this contributes to a greater risk to develop a heat stroke in a short period of time, and more serious than in the adult, being able to produce death in a short time. 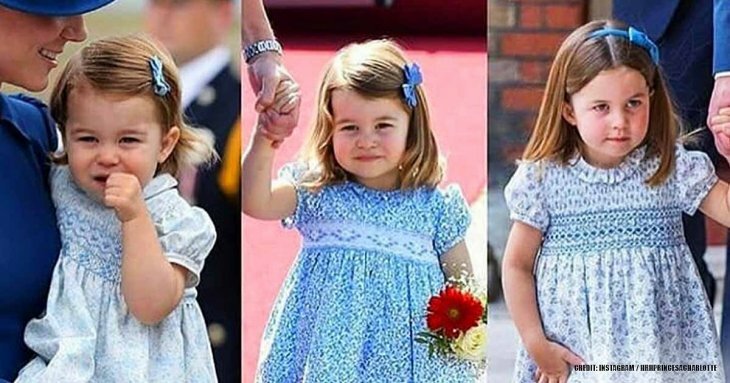 It is important to always keep an eye on your kids, never leave them alone and to keep the keys of your car away from them because in some cases, the kids get in the car without permission and that’s how they get trapped there.